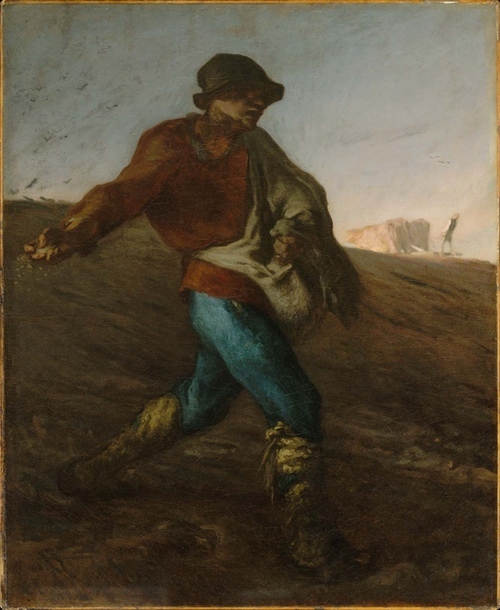 The Sower was one of Millet’s early paintings conceived and painted at Barbizon. His earlier versions were said to have been more reminiscent of his Normandy home than of Barbizon. The originals showed more of a man of Greville with a proud and series step in the midst of a flock of crows there to sample the grain. Later versions would become more representative of Barbizon; the man is said to be almost more Parisian.